It wasn’t enough for us to indulge in all the food of Prince Edward Island. We wanted to experience it. 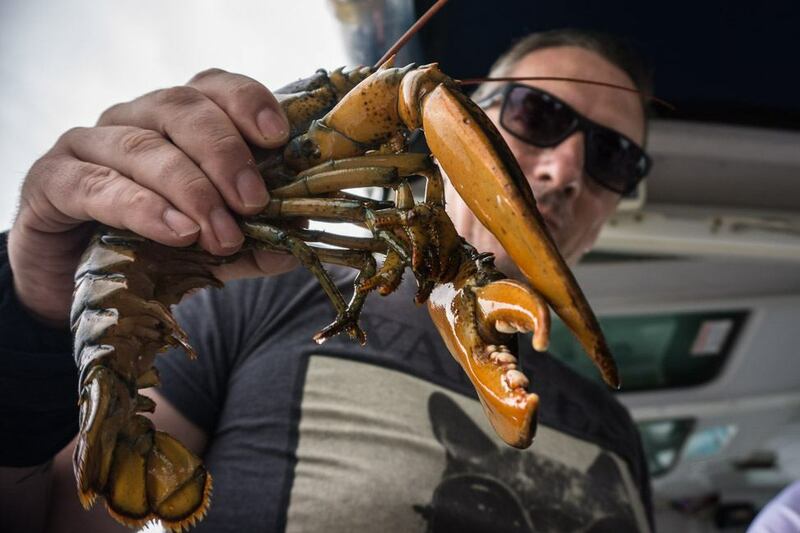 There was a time, in the not too distant past, where lobster was considered poor man’s food. 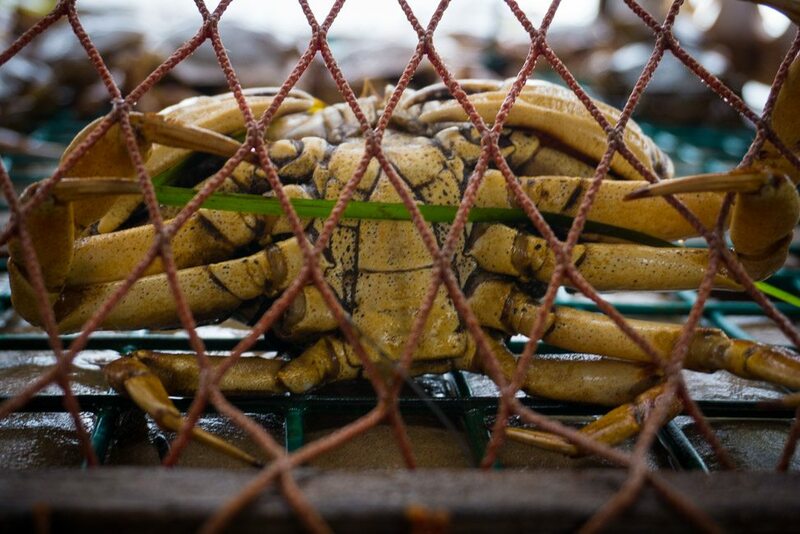 “My father,” stated Mark, a fourth generation lobster fisherman, “he was bullied for taking lobster sandwiches to school.” Before arriving on the school grounds, he would peel the meat out from between the bread and leave it in a garbage can. Seems unfathomable, both Pete and I thought. 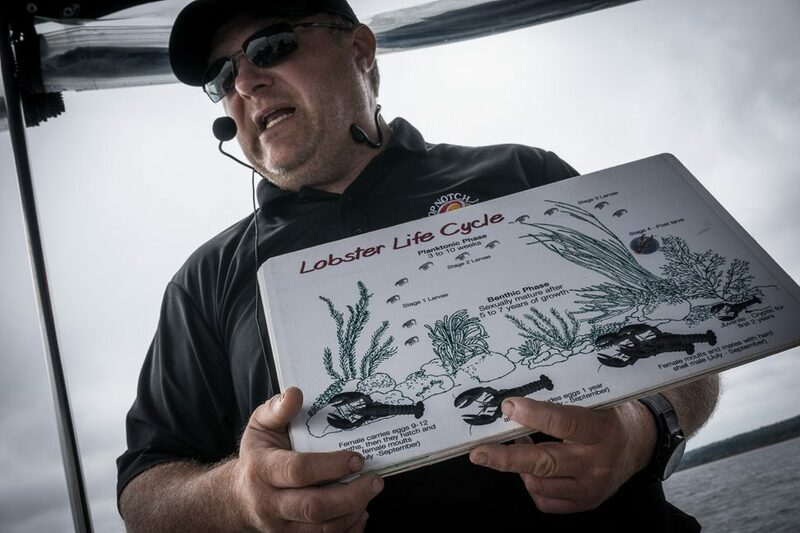 Nowadays, lobster are considered an utterly luxurious food, and along with Pete’s quest to find the best servings across the province, we wanted to learn more about the act of fishing them as well. It may not have actually been lobster season, but here we were with Captain Mark and his fishing partner Cody, pushing out into the harbour of Charlottetown on a grey and dreary morning. 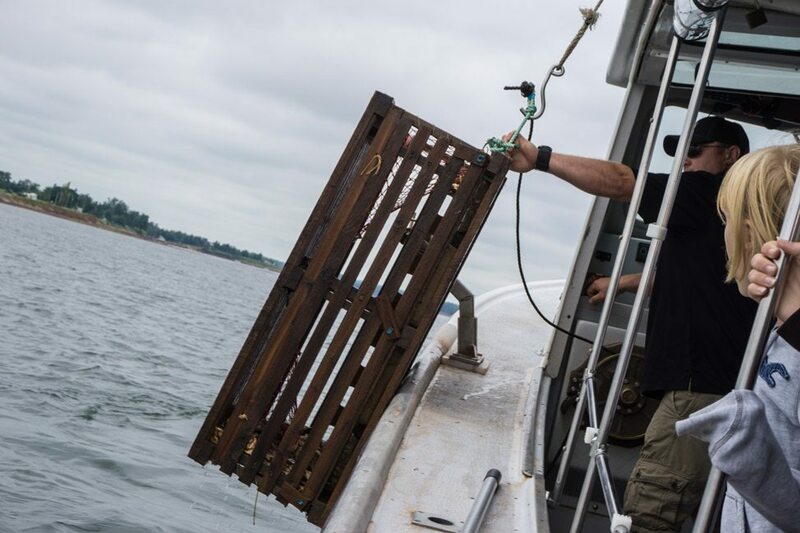 We were searching for their buoys of black and gold and to see firsthand the process required to retrieve what they might hold inside. Yes, because it was off-season the lobsters (and crab) were staged, and we weren’t actually going to be eating what we caught, but that was not the point. We were here to learn. 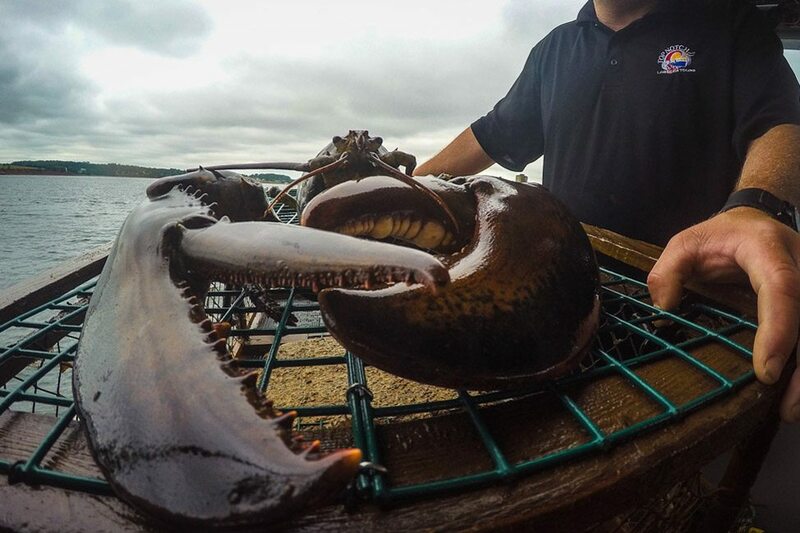 Lobster fishing is not a year-round affair; the seasons are carefully controlled so as to protect the population. During Mark’s short season he hauls in every trap every day – all 272 of them – until the quota is reached. Except for Sundays that is, as there is an island agreement that everyone takes that day off. It’s not the only unwritten rule among the fisherman as everyone’s placement of traps is also acknowledged and respected. There is a strong sense of community, and the desire to have “everyone win”. 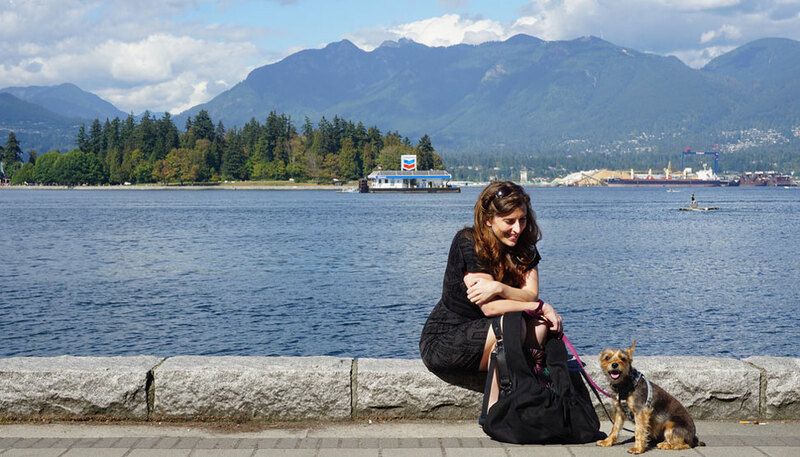 There is a strong sense of community, and the desire to have “everyone win”. At the first trap, one of the youngest in our tour helped to pull it in. With a long hooked pole she effortlessly snagged the line attached to the buoy. Draping and towing the rope over a pulley, Mark hoisted the trap to the surface and hauled it onto the boat. Three different times, traps were pulled at three different locations. The critters inside were brought out for display and discussion. We learned of the difference between the sexes, the measurements for which they could be kept or tossed, and how technology has even evolved with the traps. When the GoPro first came out, they attached one to a trap and left it submersed for three hours. It was the first time they were able to watch the pattern of their crustacean targets, and to contemplate the effectiveness of their traps. It resulted in immediate changes in design, and an increase of 30% in their catches. “In the winter we drink beer, play hockey, and build traps,” Mark said, “in that order.” To these two Canadians, that sounds pretty good. We learned of the difference between the sexes, the measurements for which they could be kept or tossed, and how technology has even evolved with the traps. 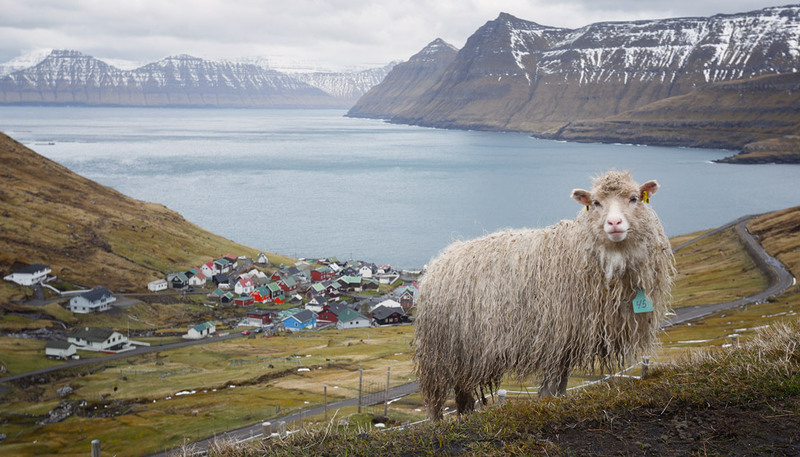 John seemed an unlikely tour guide — soft spoken, devoid of any emphatic displays or exaggeration of storytelling – traits that usually lend to others in his position. Might I say that I think that makes him the perfect tour guide? He was so clearly knowledgable of his craft, living in a place he loves, and sharing the joy of his work with the many who visit. Along with his wife Jackie, they own a beautiful house on the Pinette River. 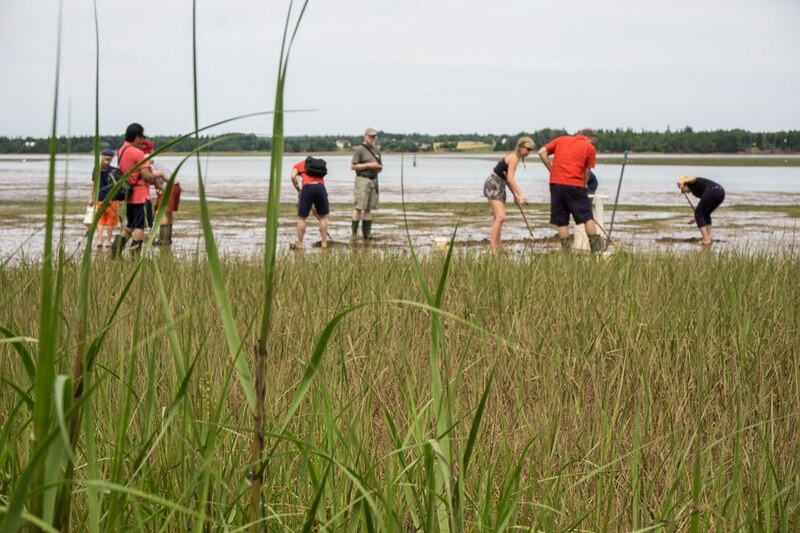 In their backyard, we loaded up with bug spray and clamming tools and descended the stairs and onto the muck below. With the tide out, the bay was rust red with streaks of tepid water left behind several hours before. The conditions were perfect to begin our hunt. As instructed, we placed the shovel a few inches behind a tiny hole in the otherwise smooth sand, indicative of a clam underneath. 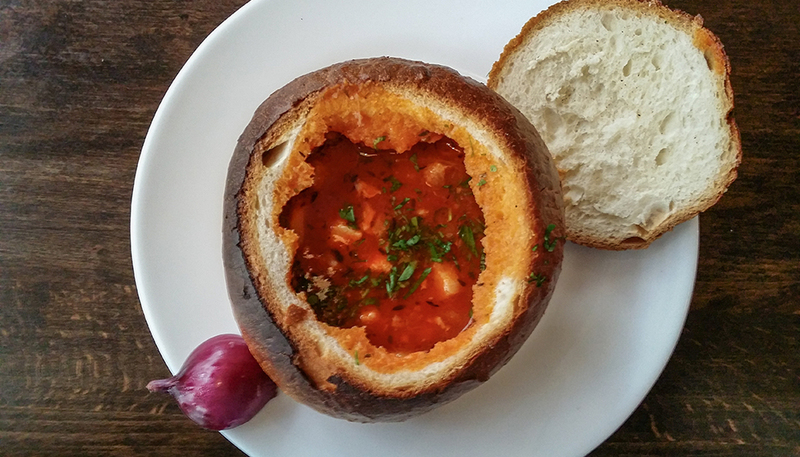 The bigger the hole, the bigger the clam, usually. 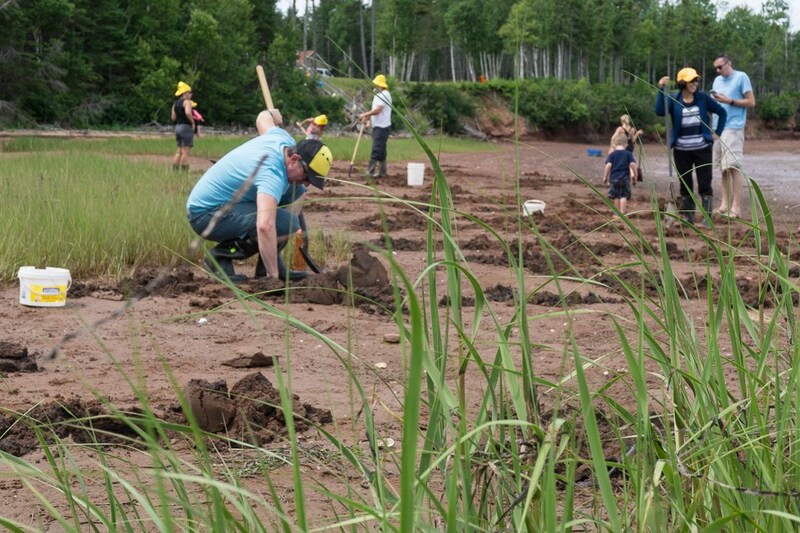 We carefully pressured the shovel into the sand with the sole of one foot and then turned the earth over slowly in an effort to not crack the soft shells. On almost every turn, we found clams, and checked the size against the guide on the size of our bucket. Smaller clams were returned to the sand, larger ones were kept for a future feast. The bay was rust red with streaks of tepid water left behind several hours before. The conditions were perfect to begin our hunt. 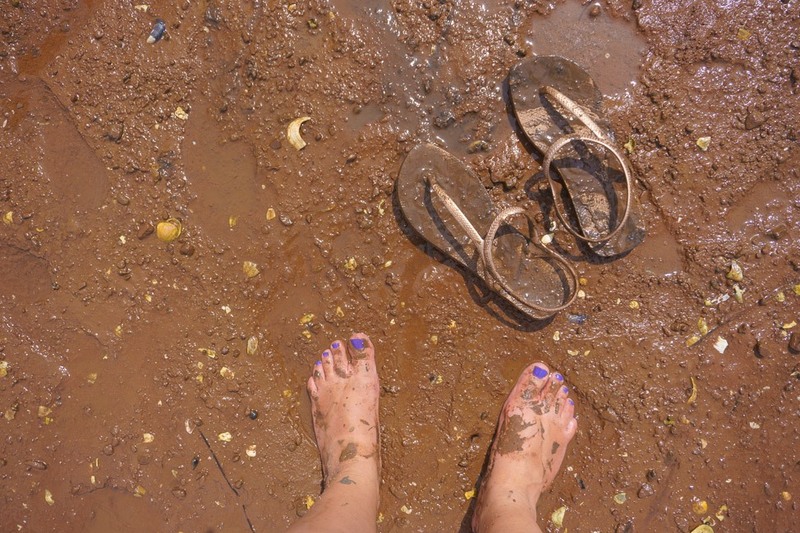 In the muddier sections, quahogs were our quest. They sit just below the surface; they are a little more durable and easily raked up. In all, we spent no more than an hour mucking in the mud, probably less, and we had the freedom to come and go from John and Jackie’s house as we pleased. But Pete and I were the last two to leave, thoroughly enjoying the pursuit and in my case, the feel of the mud between my toes (my sandals were a hindrance to any movement in the sticky mud, I quickly set them aside and got back to clammin’). While our treasures were sent off to be cleaned, the group ate yesterday’s catch that Jackie cooked up during our dig. Clams cooked only in their own juice with celery and carrots and served with butter, the quahogs came later. 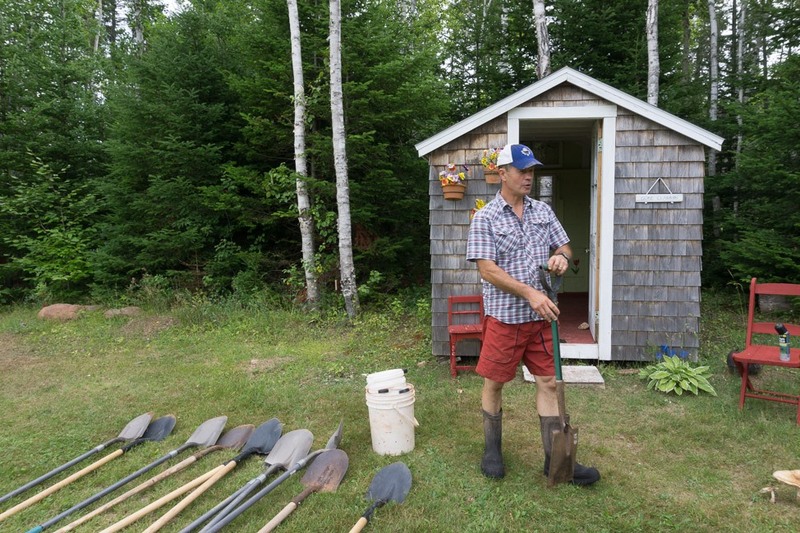 Beyond our catch: a mussel station, an assortment of vegetables and cold beverages, and even Jackie’s homemade donuts. Pete and I were the last two to leave, thoroughly enjoying the pursuit and in my case, the feel of the mud between my toes. I am not an eater of fish or seafood and I devoured the donuts (so greedily as to not have even bothered to take a photo of them). But whether I ate the results of our efforts or not mattered none – on this day it was the experience that mattered. 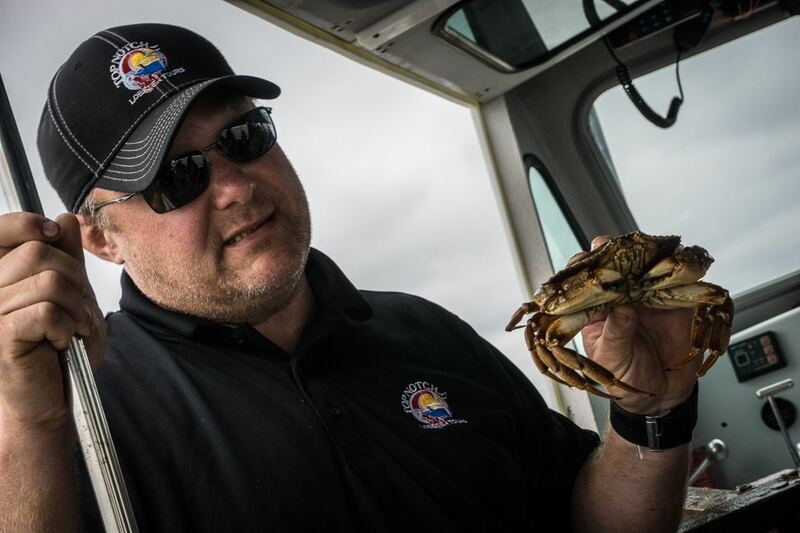 Our lobster fishing experience through Top Notch Charters was so informative and enthralling. 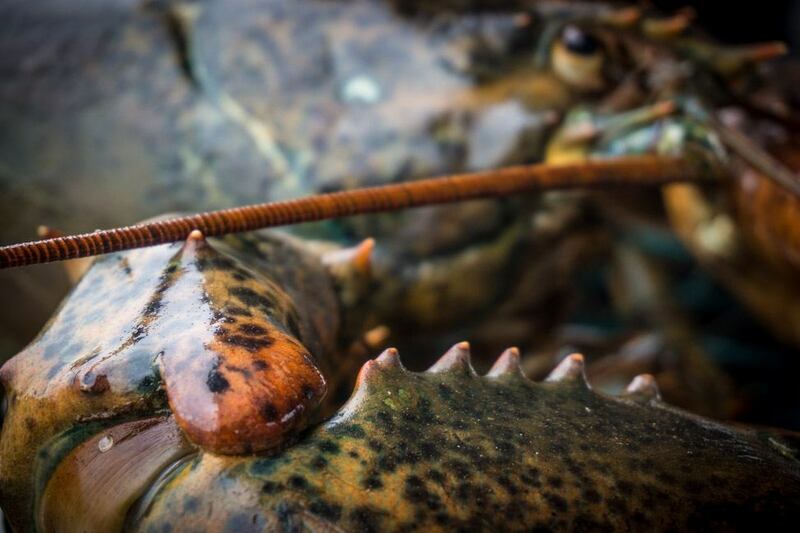 The lobster fishing industry is such an important part of Maritime culture that this is truly not to be missed. 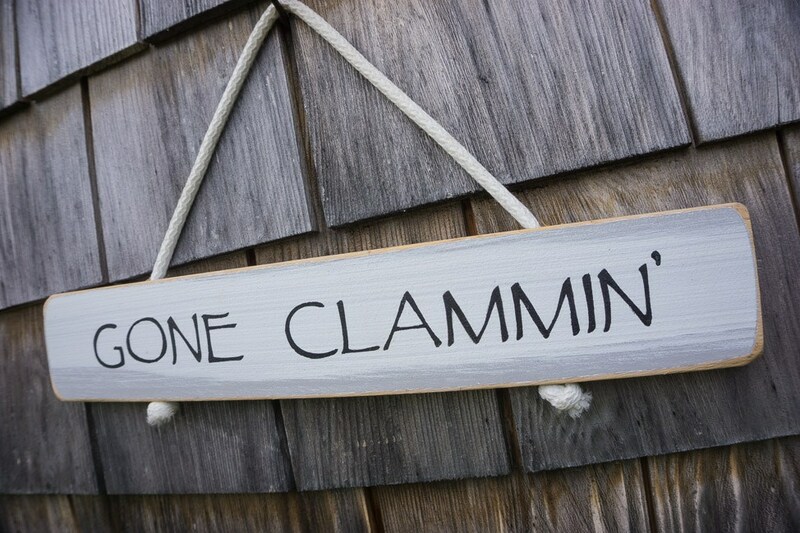 Same goes for our experience with Happy Clammers! And the very best part of our afternoon is that we felt like we were visiting the home of friends. The hospitality and warmth of John and Jackie is a perfect display of what the people of Atlantic Canada are all about. This post was produced by us, brought to you by Tourism PEI. Know thyself, and budget accordingly. Wow this looks so fun! 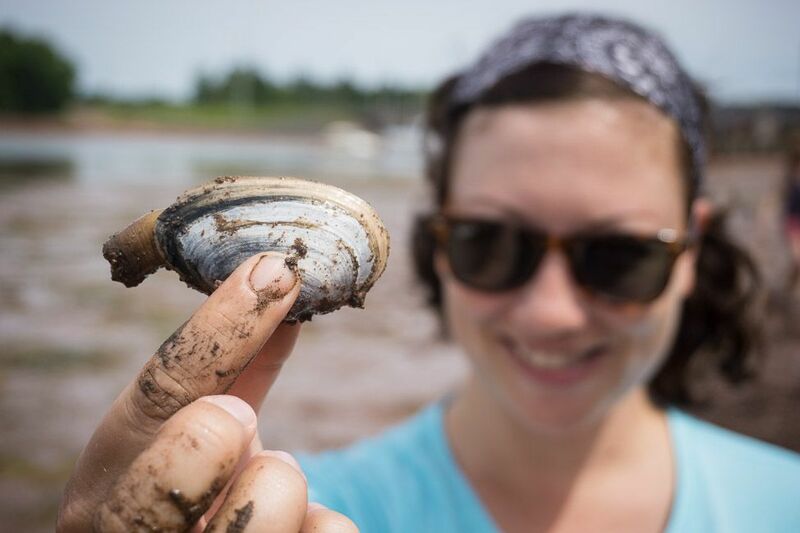 Last month I was in New Brunswick and PEI visiting family and had planned to go clam digging (I don’t eat seafood but my family does) but unfortunately we just couldn’t fit it in to my visit there. This looks like such a blast! Wow, I didn’t know this is how you get them :O I have never tried lobster but I guess this is the one cooked alive right? The story of the lobster fisherman’s father reminds me of another. My father, before shrimp was a popular food, bought a bunch of large shrimp for bait. He didn’t catch anything, so he cooked the shrimp for dinner. And loved it!